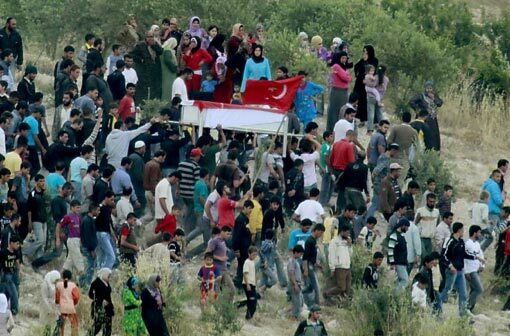 Putting aside the issue of emotional significance, I was struck by the common formal chords in Ellsworth Kelly’s “Colors by Chance III” and this photo of a funeral in Syria. 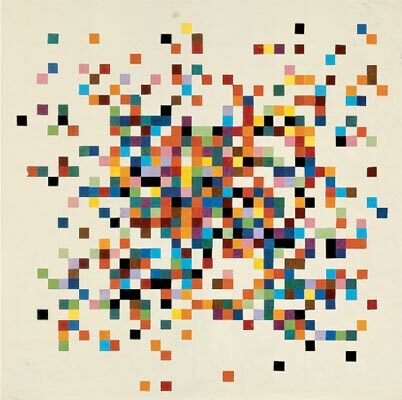 The basic Intro to Art History course naturally dances from one highlight to the next—key works by the most influential artists, and typical pieces from the great movements. Which certainly makes sense; we hear so much about the Mona Lisa because it is, in fact, so much better than the competition. 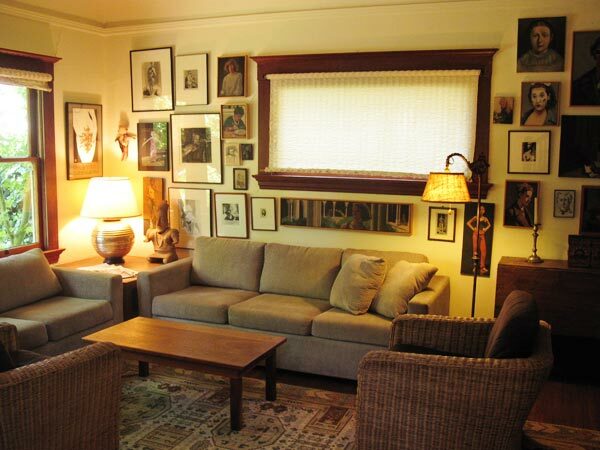 It looks good in reproductions like this one, and of course the original has a presence that no reproduction can equal. But there’s a lot of very good art that doesn’t make the highlight list. One of the delightful aspects of the internet is that we can see the non-highlight stuff. 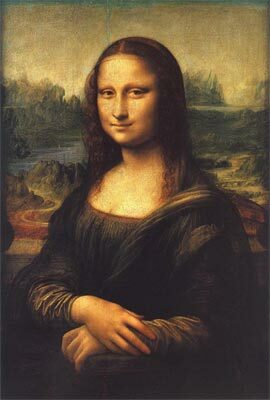 For example, the early 16th Century, when the Mona Lisa was painted, was a lively time for portraiture. 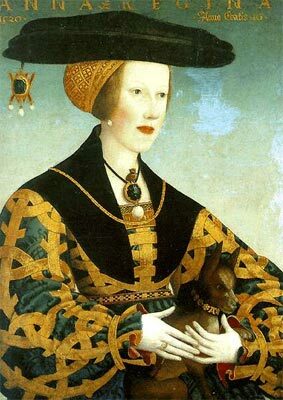 This portrait of Anna, Queen of Bohemia and Hungary, by Hans Maler, was done at about the same time. 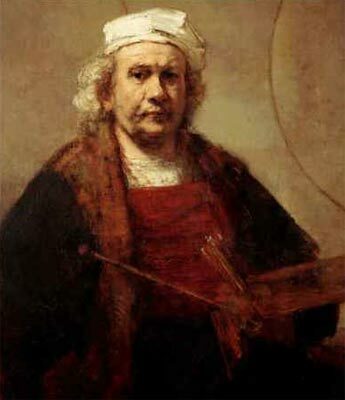 It’s certainly less original than the Mona Lisa; Maler was working within the conventions of the time, not inventing new modes of expression as Leonardo did. But it’s a subtle and engaging piece all the same, and fun to compare with its more famous cousin. The pose is similar. Anna holds a dog, but the gesture of the hands has the same guarded quality. Leonardo is interested in light and air from foreground to distance; Maler goes for decorative pattern, using the background only for a pale, cool contrast with the brisk, warm figure. Notice also that the background darkens at the top, which keeps the black hat from floating away. The inscription conveys information and also repeats the foreground gold tones, which holds the background in a definite, shallow space rather than letting it drift vaguely off. 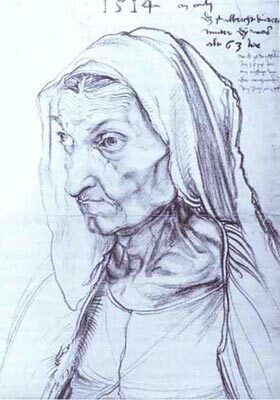 And then there is Durer’s portrait of his mother, also from about the same time. It’s another intention altogether, but even so you find similar devices. The pose is much the same, in mirror image, as Anna’s, even to the inclination of the head and the direction of the gaze. The silhouette, while more subtle and intricate, is strong. And the notations above the head perform the same function here that they do for Anna. There are other ways to tackle that problem, but this certainly works. I find these sorts of comparisons instructive. Wikipedia is full of lists of artists and styles but also names and politics. I’ll pick something, and then follow the links to other things. This often leads to art previously unknown to me. 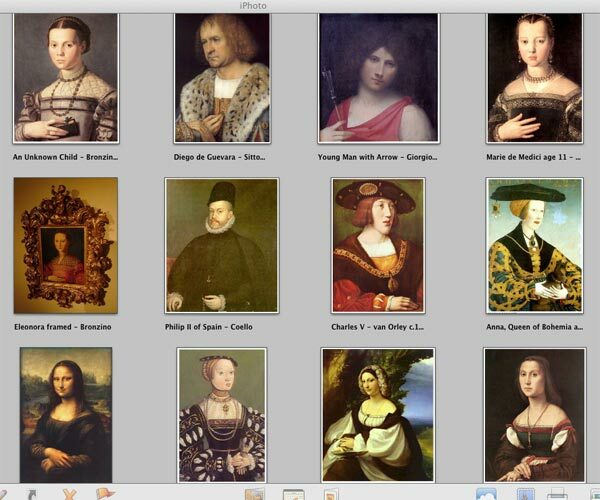 I collect screen grabs in iPhoto, putting similar pieces together. Alike but not the same. My own study collections, in this case 16th Century heads-and-hands. There’s a lot to learn that never came up in Intro to Art History.